Mikhail Afanasievich Bulgakov (or Bulhakov, Михаил Афанасьевич Булгаков; May 15, 1891 – March 10, 1940) was a Soviet novelist and playwright of the first half of the twentieth century. Although a native of Kiev, he wrote in Russian. Like his Ukrainian predecessor, Nikolai Gogol, he was a humorist and satirist of the first order. The object of his sharp wit was the Soviet regime and particularly the "homo Sovieticus," or new Soviet man that the regime was seeking to create. Bulgakov exposed the futility of this attempt to re-engineer human souls in his novellas, like Fatal Eggs and Heart of a Dog, and in his greatest work by far, and one of the greatest novels written in the Soviet period, The Master and Margarita. Mikhail Bulgakov was born in 1891 in Kiev, Ukraine, the oldest son of a professor at Kiev Theological Academy. In 1913, Bulgakov married Tatiana Lappa. In 1916, he graduated from the Medical School of Kiev University with a degree in medicine. The Bulgakov sons enlisted in the White Army during the Russian Civil War; Mikhail enlisted as a field doctor. All but Mikhail would end up in Paris at the war's conclusion. He ended up in the Caucasus, where he eventually began working as a journalist. In 1921, he moved with Tatiana to Moscow where he stayed for the rest of his life. Three years later, divorced from his first wife, he married Lyubov' Belozerskaya. In 1932, Bulgakov married for the third time, to Yelena Shilovskaya, and settled with her at Patriarch's Ponds. During the last decade of his life, Bulgakov continued to work on The Master and Margarita, wrote plays, critical works, stories, and made several translations and dramatizations of novels. Despite his relatively favored status under the Soviet regime of Joseph Stalin, Bulgakov was prevented from either emigrating or visiting his brothers in the west. Bulgakov never supported the regime, and mocked it in many of his works, most of which were consigned to his desk drawer for several decades because they were too politically sensitive to publish. In 1938, he wrote a letter to Stalin requesting permission to emigrate and received a personal phone call from Stalin himself denying his request. 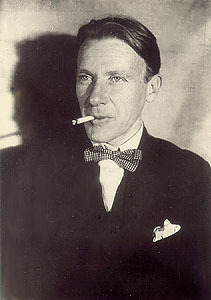 Bulgakov died from an inherited kidney disorder in 1940 and was buried in the Novodevichy Cemetery in Moscow. During his life, Bulgakov was best known for the plays he contributed to Konstantin Stanislavsky's Moscow Art Theater. They say that Stalin was fond of the play Days of the Turbins (Дни Турбиных), which was based on Bulgakov's phantasmagoric novel The White Guard. His dramatization of Moliere's life in The Cabal of Hypocrites is still run by the Moscow Art Theater. Even after his plays were banned from the theaters, Bulgakov wrote a grotesquely funny comedy about Ivan the Terrible's visit into 1930s Moscow and several plays about the young years of Stalin. This perhaps saved his life in the year of terror, 1937, when nearly all writers who did not support the leadership of Stalin were purged. Bulgakov started writing prose in the early 1920s, when he published autobiographical works, such as The White Guard and a short story collection entitled Notes of a Country Doctor, both based on Bulgakov's experiences in post-revolutionary Ukraine. In the mid-1920s, he came to admire the works of H.G. Wells and wrote several stories with sci-fi elements, notably The Fatal Eggs (1924) and the Heart of a Dog (1925). The Fatal Eggs, a short story inspired by the works of H.G. Wells, tells of the events of a Professor Persikov, who in experimentation with eggs, discovers a red ray that accelerates growth in living organisms. At the time, an illness passes through the chickens of Moscow, killing most of them. To remedy the situation, the Soviet government puts the ray into use at a farm. Unfortunately there is a mix up in egg shipments and the Professor ends up with the chicken eggs, while the government-run farm receives a shipment of the eggs of ostriches, snakes and crocodiles that were meant to go to the Professor. The mistake is not discovered until the eggs produce giant monstrosities that wreak havoc in the suburbs of Moscow, killing most of the workers on the farm. The propaganda machine then turns onto Persikov, distorting his nature in the same way his "innocent" tampering created the monsters. This satire of the bungling bureaucracy earned Bulgakov the reputation as a counter-revolutionary. Heart of a Dog, a story obviously based on Frankenstein, features a professor who implants human testicles and pituitary glands into a dog named Sharik. The dog then proceeds to become more and more human as time passes, but his brutish manner results in all manner of chaos. The tale is clearly a critical satire on the Soviet "new man." It was turned into a comic opera called The Murder of Comrade Sharik by William Bergsma in 1973. A hugely popular screen version of the story followed in 1988. The Master and Margarita (Russian: Мастер и Маргарита) is one of the greatest Russian novels of the twentieth century—and one of the most humorous. Bulgakov started writing his most famous and critically acclaimed novel in 1928. The first version of the novel was destroyed (according to Bulgakov, burned in a stove) in March 1930 when he was notified that his piece Cabal of Sanctimonious Hypocrites (Кабала святош) was banned. The work was restarted in 1931 and the second draft was completed in 1936 by which point all the major plot lines of the final version were in place. The third draft was finished in 1937. Bulgakov continued to polish the work with the aid of his wife, but was forced to stop work on the fourth version four weeks before his death in 1940. The work was completed by his wife during 1940–1941. A censored version (12 percent of the text removed and still more changed) of the book was first published in Moscow magazine (no. 11, 1966 and no. 1, 1967). The text of all the omitted and changed parts, with indications of the places of modification, was published in samizdat, or self-publication. In 1967, the publisher Posev (Frankfurt) printed a version produced with the aid of these modifications. In Russia, the first complete version, prepared by Anna Saakyants, was published by Khudozhestvennaya Literatura in 1973, based on the version of 1940, proofread by the publisher. This version remained the canonical edition until 1989, when the last version was prepared by literature expert Lidiya Yanovskaya, based on all available manuscripts. One aspect of the text is a Bildungsroman with Ivan as its focus. His futile attempt to chase and capture the "gang" and warn of their evil and mysterious nature both leads the reader to other central scenes and lands Ivan in a lunatic asylum. Here we are introduced to The Master, a bitter author, the petty-minded rejection of whose historical novel about Pontius Pilate and Christ has led him to such despair that he burns his manuscript and turns his back on the "real" world, including his devoted lover, Margarita (Маргарита). Major episodes in the first part of the novel include another comic masterpiece—Satan's show at the Variety, satirizing the vanity, greed, and gullibility of the new rich—and the capture and occupation of Berlioz's flat by Woland and his gang. Eventually, in part 2, we finally meet Margarita, the Master's mistress, who represents human passion and refuses to despair of her lover or his work. She is made an offer by Satan, and accepts it, becoming a witch with supernatural powers on the night of his Midnight Ball, or Walpurgis Night, which coincides with the night of Good Friday, linking all three elements of the book together, since the Master's novel also deals with this same spring full moon when Christ's fate is sealed by Pontius Pilate and he is crucified in Jerusalem. The second setting is Jerusalem under the rule of Pontius Pilate, which Woland describes to Berlioz ("I was there"). It echoes the pages of the Master's rejected novel, which concerns Pontius Pilate's meeting with Yeshua Ha-Notsri (Jesus). Pilate recognizes an affinity with and spiritual need for Yeshua, but is reluctant, passively resigning himself to handing him over to those who want to kill him. There is a complex relationship between Jerusalem and Moscow throughout the novel. Jerusalem sometimes serves as replica, sometimes counterpoint. The themes of cowardice, trust, treachery, intellectual openness and curiosity, and redemption are prominent. The third setting is the one to which Margarita provides a bridge. Learning to fly, she enters naked into the world of the night, flies over the deep forests and rivers of Mother Russia, bathes, and, cleansed, returns to Moscow as the anointed hostess for Satan's great Spring Ball. Standing by his side, she welcomes the dark celebrities of human history as they pour up from the bowels of Hell. She survives this ordeal without breaking, borne up by her unswerving love for the Master and her unflinching acknowledgment of darkness as part of human life. For her pains and her integrity, she is rewarded well. Satan's offer is extended to grant her her deepest wish. She chooses to liberate the Master and live in poverty and love with him. In an ironic ending, neither Satan nor God think this is any kind of life for good people, and the couple leave Moscow with the Devil, as its cupolas and windows burn in the setting sun of Easter Saturday. Ultimately, the novel deals with the interplay of good and evil, innocence and guilt, courage and cowardice, exploring themes such as the responsibility we have towards truth in the face of world predicated on lies, and freedom of the spirit in an unfree world. The novel is a riot of sensual impressions, but the emptiness of sensual gratification without love is illustrated time and again in the satirical passages. The novel is heavily influenced by Goethe's Faust. Part of its brilliance lies in the different levels on which it can be read, as hilarious slapstick, deep philosophical allegory, and biting socio-political satire critical of not just the Soviet system but also the superficiality and vanity of modern life in general—jazz is a favorite target, ambivalent like so much else in the book in the fascination and revulsion with which it is presented. Bulgakov's brilliance lies not only in his plotting and themes, but his ability to employ entirely different writing styles in the alternating sections. The Moscow chapters, ostensibly involving the more "real and immediate" world, are written in a fast-paced, almost farcical tone, while the Jerusalem chapters—the words of the Master's fiction—are written in a hyper-realistic style. The tone of the narrative swings freely from Soviet bureaucratic jargon to the visual impact of film noir, from sarcastic to deadpan to lyrical, as the scenes dictate. The book was never completed, and the final chapters are late drafts that Bulgakov pasted to the back of his manuscript. This draft status is barely noticeable to the casual reader, except perhaps in the very last chapter, which reads like notes of the way the main characters lived on in the author's imagination. Bulgakov's old flat, in which parts of the novel are set, has become a target for Moscow-based Satanist groups since the 1980s, as well as of Bulgakov's fans, and is defaced with various kinds of graffiti. The building's residents, in an attempt to deter these groups, are currently attempting to turn the flat into a museum of Bulgakov's life and works. Unfortunately, they are having trouble contacting the flat's anonymous owner. Ginsburg's translation was from a censored Soviet text and is therefore incomplete. While opinions vary over the literary merits of the different translations and none of them can be considered perfect, the latter two are generally viewed as being more faithful to the nuances of the original. Glenny's translation runs more smoothly than that of Pevear and Volokhonsky, but is very cavalier with the text, whereas Pevear and Volokhonsky pay for their attempted closeness by losing idiomatic flow. A close examination of almost any paragraph of the novel in these two versions in comparison with the original reveals shortcomings and glaring discrepancies, however. Various authors and musicians have credited The Master and Margarita as inspiration for certain works. Salman Rushdie's novel The Satanic Verses, for example, clearly was influenced by Bulgakov's masterwork. The Rolling Stones have said the novel was pivotal in their song "Sympathy for the Devil." The grunge band Pearl Jam were influenced by the novel's confrontation between Yeshua Ha-Notsri, that is, Jesus, and Pontius Pilate for their 1998 Yield album song, "Pilate." The Lawrence Arms based their album The Greatest Story Ever Told on the book and several of its themes. The Franz Ferdinand song "Love and Destroy" was based on a scene where Margarita flies over Moscow on her way to the Walpurgis Night Ball. The novel contributed a number of Orwellian sayings to the Russian language, for example, "Manuscripts don't burn." A destroyed manuscript of The Master is an important element of the plot, but also refers to the fact that Bulgakov rewrote the entire novel from memory after he burned the first draft manuscript with his own hands. This page was last modified on 4 October 2018, at 15:33.